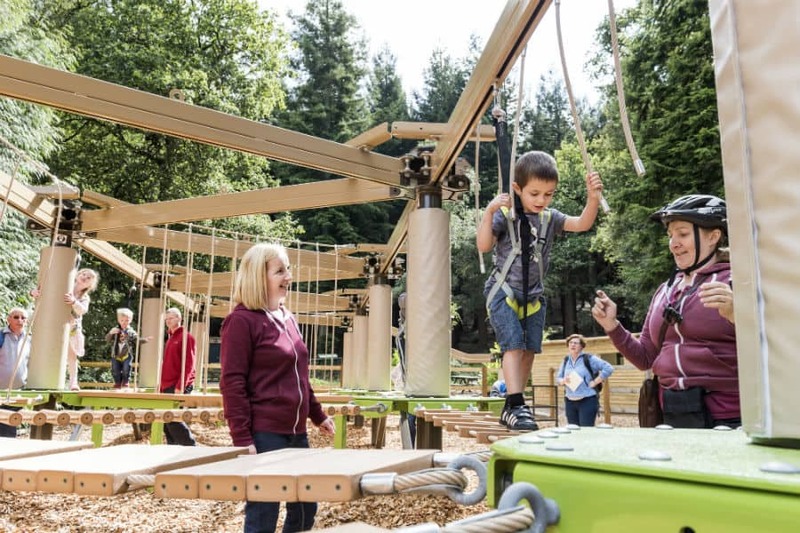 Center Parcs has introduced a new Sky Tykes ‘Mini Trek’ low ropes course from Innovative Leisure to a third Village, Whinfell Forest in Cumbria. Specifically designed for children aged 2-7 years, Sky Tykes is a great way for families to include even their youngest members in their short break activities and to introduce them to the ropes course experience. Sky Tykes has proven popular at a variety of venues with its unique ability to involve both parent and child. While the child is safely harnessed to the safety track parents are able to walk by their side, guiding them through the challenging elements of the course. Sky Tykes, known as Mini Trek at Center Parcs, is an ideal addition to more than 200 activities already available for families to book whilst on a short break. Whinfell Forest’s Mini Trek fits beautifully into its surroundings with a natural colour scheme. Configured of 10 poles, it has 14 elements and up to 20 person capacity. We are always looking at introducing new ways to give families the chance to spend great quality time together, face challenges, try new things and have adventures in the forest,” said Steve Cooper, Group Outdoor Activities and Safety Manager, Center Parcs UK. “This new Mini Trek course is a great way for parents and children to traverse their way from start to finish, feeling a real sense of achievement once completed. Whilst they are surrounded by forest and alongside parents all the way round, they are never far from the ground and safely harnessed. It’s an amazing activity and we’re really pleased with the quality of product and quality of experience this offers. Center Parcs Longleat Forest and Sherwood Forest also operate popular Sky Tykes courses from Innovative Leisure under the Mini Trek name.